Everyday, thousands of Massachusetts drivers hit the road with Conquer Cancer license plates on their cars. Without doing anything extra in your day, you are helping to support free programs and important resources across the state. 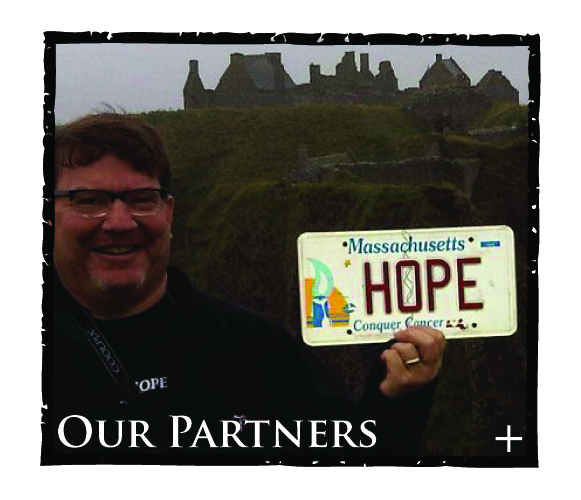 The Conquer Cancer Specialty License Plate is available at all full service RMV locations and also online. If you drive a car in Massachusetts, why not be driven to make a difference! 100% of your donation helps support our Hope & Healing initiative ( + ).